What I love about September is the start of a new season ... fall. The leaves turn to different colors, the nights get cooler, it reminds me of a season full of comforts. But the new season also brings new opportunities. For families and moms in particular it's a welcome time to have some time to themselves. It's also a time when moms start thinking about taking on a part-time job or start a home based business while their kids are in school. In fact, fall was when I officially started my online business selling natural and organic products. If you're in the direct selling business, fall is one of the busiest times for you, and it's an opportune time to line up those home party trunk shows or turn up your sponsoring efforts a notch or two. If you've been thinking about starting a part-time home based business - a business that you can easily do online - I encourage you to take a look at partnering with one of the direct selling opportunities. When I say "easy", I don't mean you don't have to put in any efforts. What I mean by "easy" is that there are plenty of opportunities that don't require excessive inventory, bugging your friends, sisters, neighbor, PTA moms to host trunk shows/parties, in order to do well. Easy, in my business, simply means you can easily build your business anywhere in the US, without driving around doing parties because we have products that you can send samples to prospective customers without having to rely on hosting shows to sell products. In my business, you can easily send samples to anyone in the US that wants to "try the products" before they buy. Once you send the samples to a prospective customer, your next step is to follow up, and I mean be diligent with your follow up because you can't expect the customer to contact you. The customer shops directly on your website - the products are delivered from the company - and you earn a percentage of the sales. This is just one example of the ease of using the company samples to gain new customers. 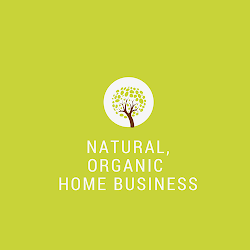 If you're curious about the products, I encourage you to visit my business website, register as a free client, and try the all natural and organic sample. It's free so why not give it a try. If you've been thinking about starting an online business - why not take a look? Feel free to email me if you have any questions: janette(at)marketingdirectsales.com. I'm looking forward to a new season of endless possibilities and new opportunities. How about you? Which Direct Sales Home Based Business Opportunity Is Right For You? Starting a home based business isn't for everyone because it takes work to build a business. But for the right person that understands the entrepreneurial mindset, a home based business, can be a great way to create additional income. There are thousands of direct sales and network marketing companies to choose from. Many of these companies offer fantastic products so how do you know which one is right for you? It all depends on YOU. In general, network marketing falls under the umbrella of direct sales and is a part of the direct selling industry. The difference between direct sales and network marketing is that network marketing emphasizes team building, hence "network". Your business will be more profitable if you build a network of people. Direct sales is known for "retailing" products directly to end users. Think Tupperware and Avon in the early days when consultants sold products door to door. Direct selling is the heart of direct sales companies where products are sold one on one, small groups, or through a home party format. This is where consultants can earn hundreds of dollars for hosting a few hours of work. Not to mention, it can be fun gathering with the girls. But if hosting parties isn't your thing, you can still retail products on your company website, or by sending samples for people to try, especially if you represent a skin care/make up type of business that makes sending samples easy. There are plenty of great consumable products in direct sales, such as skin care and body care products that women, men, and families use on a daily basis. If you find a company that offers outstanding products at an affordable price that regular people are already used to paying at Target, Costco and regular stores, it's easier to re-direct their spending to your company products. If starting a direct sales business is something you have in mind, check out the dsa.org for a list of members and products that might interest you. Then start doing your research based on what YOU want out of the business. Ultimately, your success rise and fall on you and that is why it's vital to your success to find something that fits your interest and lifestyle. Just because so and so is making tens of thousands, that doesn't mean you will, if it's the WRONG business for you. Whatever you choose to do, be sure to do your homework, contact corporate office directly if you're unsure about something, and look at the compensation plan as well as the retail price of products. Consider the products. Is it something you would spend money on if there's no business opportunity attached? Think like a customer and ask yourself if the product is something you would pay and use yourself. Although price alone isn't the determining factor but in today's competitive economy, consumers are savvy and won't hesitate to shop around, because they want not only quality products, exceptional service, but also at an affordable price. P.S. If you're looking for natural skin care products that work and at affordable prices, email me at janette(at)marketingdirectsales.com for your FREE sample. 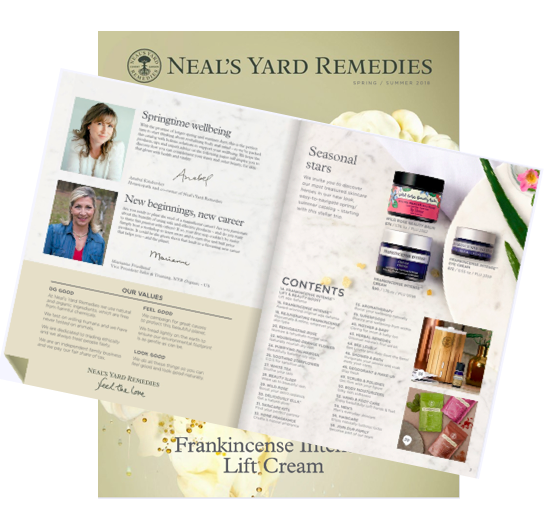 Thinking of Starting a Skin Care Business from Home? With so many skin care products on the market, should you start a skin care business? Before you start one, take a personal assessment, and ask yourself if a skin care business excites you. Just because it's big business doesn't mean it's the right business for you. *You can make your own products from home and sell them at farmer's market, online, crafts, expos, and so forth. That was the initial start from some direct sales companies. The founders created their own skin care products right out of their kitchens. *If making products isn't your thing, there are private label wholesale options. Google "skin care wholesale" and you'll see various companies offering private labels. In fact, one fitness company uses a private label company on their new skin care line. *You can research direct sales and network marketing companies that offer skin care products. Most of the companies offer body care and wellness products in addition to skin care. You can start with the Direct Selling Association, direct sales directories, Better Networker for a list of companies, or just Google the keywords. *Be an affiliate marketer for established companies. Nearly every well-known companies these days offer an affiliate program to encourage consumers to sell their products online. Affiliate programs are free to join. There are many ways to start your own beauty business from home and this is just some of the ideas. Whichever option you choose, be sure to choose one that is RIGHT for you. This means understanding your interest, your lifestyle, how much time you're willing to invest in your business, your skills, finances, and so forth. A skin care business is big business because everyone uses some type of skin care and body care products. But that doesn't mean everyone is your target market. There's a wide range in product types and prices. You also have mass competition from online, offline, infomercials, regular stores such as Target, grocery chains, and virtually everywhere you look, skin care products are sold. But if this is something that you have a passion for and can get excited on a consistent basis, it can be a lucrative business for you. It's a cliche but true - do what really gets you excited and the success will follow. There is no point in starting any business just because others are making money in it especially if it does NOT excite you. I've made this mistake before and the lesson I learned is that it's very difficult, long-term that is, to find the motivation to keep going when you're in a business that's not congruent with your interests and values. Should You Switch to Using Natural and Organic Skin Care Products? Au naturale is not only the hottest trend in skin care and wellness choices these days, but it’s also a lifestyle choice for many people. Interests in eco-green products are on the rise. You see natural products online, specialty stores, and at your local Target catering to consumer’s demand for natural products. Why should you choose natural products? For years, women have been putting toxic chemical skin care products on their face and bodies. Considering that our skin is the largest organ, what we apply to our skin have the potential to penetrate deeply into our skin. Toxic chemicals can pose health hazards for some people with certain allergies. People who choose to go au naturale want healthier products for themselves and family. Some choose natural products based on their health philosophies. Whatever the reason, there’s no doubt natural products offer many health benefits. There’s no shortage of “natural” skin care and beauty products that can be found at your local store, Target, Costco, and many places. Unfortunately, not all products that are labeled natural or organic are the real deal. How can you tell? One of the best online sources is the Safe Cosmetics Campaign which is an advocate for safe products. According to the website: “there are no legal standards for organic or natural personal care products sold in the United States”. With so many skin care products proclaiming to be natural and organic, how do you know that what you’re buying is the real deal? First, look up the ingredients on the Safe Cosmetics Campaign database. You enter the product ingredient and it lists the toxic level. Only you can decide if au naturale is right for you or not. However, the information is readily available online for you to research and decide for yourself. The skin care you’re using is wreaking havoc – leaving your skin breaking out or irritated from the products. This could mean you might be allergic to the products. Stop using the products and see if the problem disappears. Wait a few days and try again. If the problem persists, give natural products a try. There are many places to buy natural and organic products. Be sure to check the ingredients first. You’ll find the price varies with natural products – from $10 to hundreds of dollars. They often come with a big price tag attached depending on the brand name. Unfortunately, you don’t get to sample the products first before you buy at these chain stores. I would choose a company with a great return policy in case you need to return the products. More importantly, if the products don’t work for you, why stick with something that doesn’t work, when there are so many products that will work for your skin type. Choosing to go au naturale is a lifestyle and a personal choice. It’s my personal choice but it’s not something I impose on others. **If you’d would like to try a FREE 5-day sample of all natural and organic skin care, visit my site for your free sample. CLICK HERE.